Gourmet Middle Eastern fare is the star at this sophisticated venue with a subtle, stylish ambiance. My server was so unfriendly and off-putting it really made it a poor evening. Just an amazing place / meal! The shrimp ghallaba is one of my favorite meals anywhere and when Chef Isaac is on, he is “ON”! Great Food and Great Service. Always a favorite. 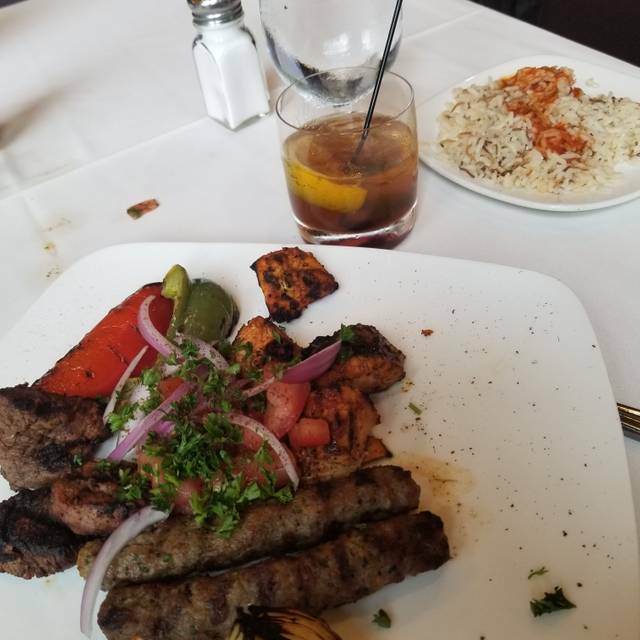 Phoenicia never disappoints. The food is always delicious and the staff is friendly and professional. I could eat here a couple of times a week. Lunch is lesser quality and value than dinner. I didn’t care for the lentil soup, which was oily and under salted. The tabouli is always wonderful. The portions are small at lunch - the fattoush salad was tiny. Truly one of the best meals I’ve ever had. Service excellent, beautiful restaurant. The food and service was excellent. One person was visiting from Israel and she enjoyed the food. Delicious appetizers of roasted garlic, morel mushrooms, hummus with plenty of fresh pita. Ribs were as tasty as ever. Dover sole was a little over cooked. Service was excellent and attentive. A candle in the rice pudding was the birthday surprise at the end of the meal. 1. Seating/Noise: We were sat in a small table for two that is immediately adjacent to the front entrance. Every time anybody stopped to greet each other in the front of the restaurant, they were standing right next to us and making it impossible for us to have a conversation. At one point, a drunk man actually stepped backwards into me. The staff was very apologetic, but it's sort of like, "Just don't put a table here". I don't care if it's a small restaurant or not, you don't put a table in the middle of a trafficked area. 2. 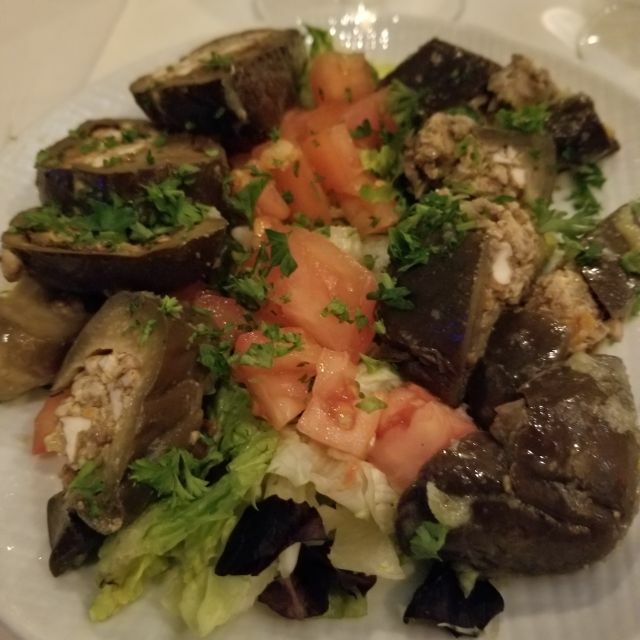 Food: The appetizer (eggplant makdouse) was pretty good, but the rest of the food was extremely bland. We ordered the stuffed squash and the stuffed chard, and both dishes had zero seasoning. Came here like others based on the Top 100 OpenTable rating, and the one thing I learned from this night is not to trust OpenTable reviews. Not as good as we had remembered. The waiter was excellent. Two of us had meat dishes were disappointing. Maybe our expectations were too high. Two of us have vegatiarian dishes and were quite pleased. The food was great! Great service! Easy to get to location. Happy we could park on side of restaurant. Food was great and Benny took wonderful care of us! Food was unimpressive. Wouldn’t go back. Service and ambiance were nice. The food was amazing per usual. Unfortunately they sat us directly in front of the door to kitchen while a better table sat vacant most of our meal. Every time servers walked out, the bright kitchen lights were in my eyes. Also not the prettiest view. Not what I had in mind for anniversary dinner. Great meal, great ambience, and great service. Not to be missed food is wonderful, service is excellent. Consistently good food and service. Attended during Restaurant Week. Enjoyed the food and attentive service. Amazing food! 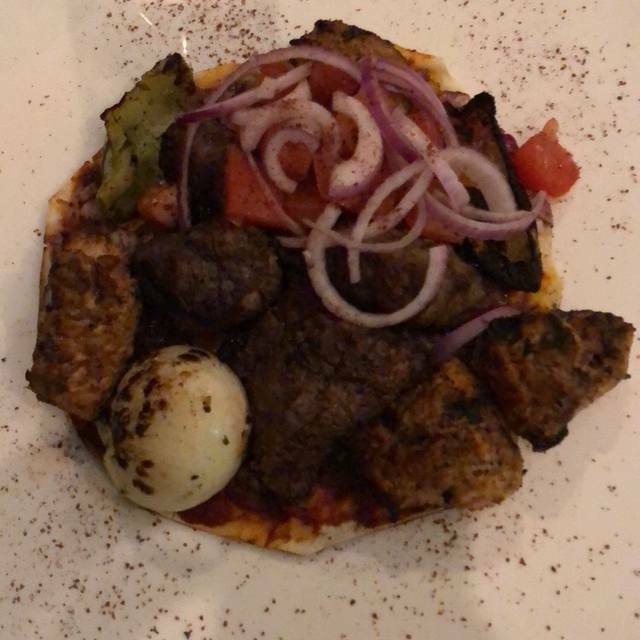 Suggest you listen to the Chef's Specials and chose from among them although we had the Beef Shish kabob and Chicken Shwarma which was also excellent. What a fantastic evening with delicious food and drinks. The hummus was perfect and the fattoush was so fresh. I loved the grape leaves and stuffed cabbage on my mixed plate. Cant wait to go back and try more! Always spot on with kitchen and service. Authentic Middle East-Mediterreanean. Only problem was having to wait 20 minutes past reservation time. Excellent Sunday Brunch. The service was spot on. Great Atmosphere. Overall a great experaince. Also....the Ribs are to die for! As a repeat customer, I can offer that this restaurant lives up to its reputation, with it providing superior and consistent service, spanning my multiple visits there so far. The ambience is both energetic and elegant, with the serving staff making it a point for visitors to feel welcome form the moment that they enter. The Mezza selection is phenomenal and very authentic and similarly, the entrées are expertly prepared and very ample in their portion sizes. Overall, the offerings resonate for me as being authentic "home cooking," which makes visiting Phoenicia all the more enjoyable. Overall, this restaurant should be considered as one of the gems of the greater Detroit area. Food was great and always is. Showed up for reservation and table was closest to the door and drafty. Had to wait 30 min for another table w no seats at bar.